Specialize In: Color, razor trend cuts, hair cuts. I have been in the industry for around 20 years. 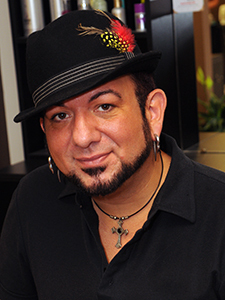 In 2004, I won the Master Stylist award for the state of Indiana, National Cosmetology Association. 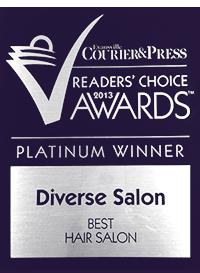 Winning top awards for color, cut and style, bridal, fantasy and creative styling. I’ve had the privilege to travel the country teaching and assisting in major hair and fashion venues. Color is my passion and I create custom shades for each client, from natural tones to vibrant long lasting fashion shades, then showcase the color with a fashionable hair cut or avant garde style. I teach every client how to create the salon look at home with the proper tools and products.